Three months sure does go by fast. Right on schedule, AMD has released the latest Enterprise release driver for its Radeon Pro and FirePro (of olde) product stack, this one versioned 18.Q3. While there are a bunch of bug fixes here, as expected, there are some great new features, too. With this driver, AMD adds remote IP support for both the Radeon Pro WX 7100 and WX 9100. This will allow users to access their workstations, virtually, with top-rate stability and performance. The caveat? Right now, it’s supported in just one hypervisor, but it’s an important one: Citrix XenDesktop. 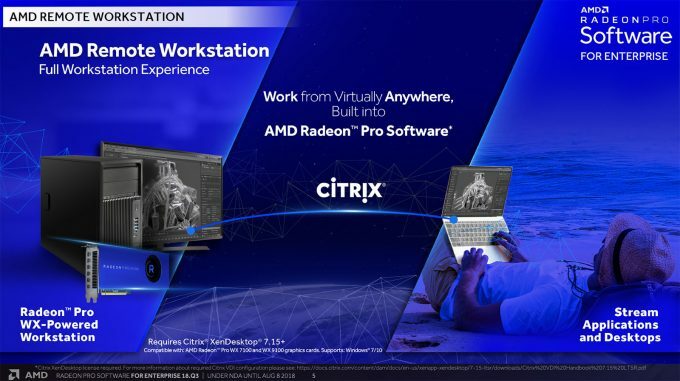 In a similar vein, AMD has also added the ability to “render in the cloud” here, offering support for some design suites like Cinema 4D and SolidWorks. Considering the fact that Cinema 4D has Radeon ProRender support, it sounds like this is the first sign of server-like support for the plugin – that’s rather exciting. Proving that sometimes, the simplest features can be the most appreciated, 18.Q3 marks the driver that introduces manual fan control, for any WX series card. What this means to you is that if you appreciate the best performance your graphics hardware can offer, it might not hurt to crank the fan and eke that little bit of extra out of it. Since I’ve seen the WX 7100 get quite hot in the past (in lieu of increased noise), I’m a little bit curious to test some before/after scenarios when time allows. 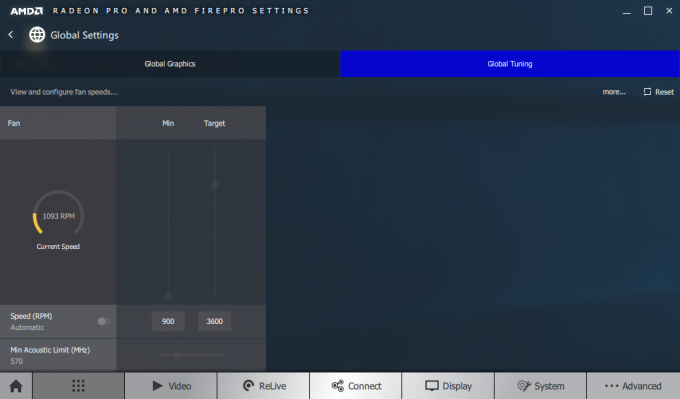 If you’re a Radeon Pro user and want to grab the latest stable driver (of course you do), head right here and snag the appropriate version.